Only move firewood when wearing gloves; splinters are unsightly and they hurt! The living room furniture is not a closet. Various coats, hats, scarves and such need to be hung up. Be thankful every time you push a button, open the fridge or turn a knob. Those appliances make life earlier. How would you ever replace a washer/dryer/dishwasher etc. right now?? Discharge static electricity before touching the cat! Hand lotion and moisturizer are your friends. Apply liberally. Repeatedly. Keep a glass of water handy on the mantle, some of the wood you are burning is lovely and dry. Dousing flames before they become too enthusiastic is always good for preventing a chimney fire. Make a point of walking outside every day. Not just dashing to and from the car, but putting one foot in front of the other and breathing deeply. Take 10 minutes to boil water for a hot water bottle. Warming the sheets first makes slipping into bed a joy at the end of a cold day. This entry was posted in Humor, memoir. 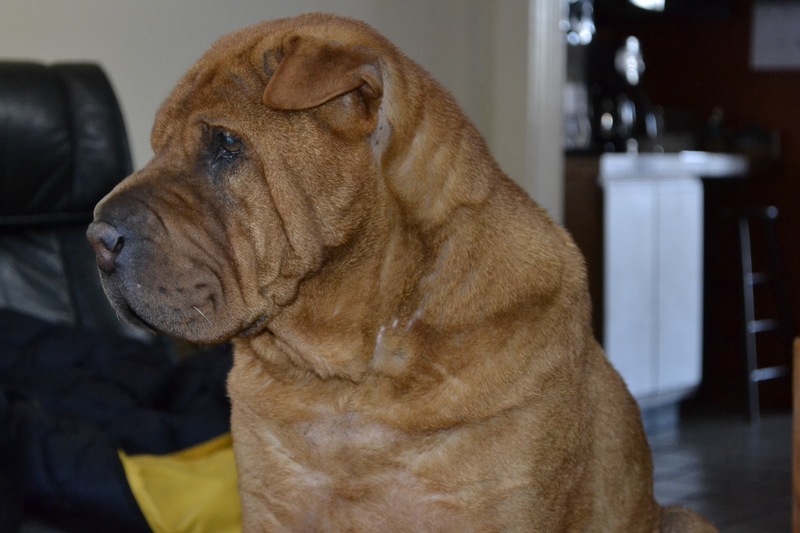 Tagged Chinese Shar Pei, humor, life after 60, life with dogs, memoir, Pets in Winter, unemployment, winter in NH, Winter unemployment. Little known fact: the hot water bottle is a lovely little gift from you a few years back. It has a handy faux fur cover! I love it!! Oh, I remember it! I lusted after it myself as I wrapped it! I’ll be so pampered I’ll be squishy!! Thank you Cheryl. Enjoy your holiday! Eeks! Foundation instead of moisturizer! Stretch number nine to half a day and after a while you’ll be amazed how easy, gentle and beautiful this life is. Sounds like a wonderful plan! I am quite sure Alice would agree. I have to keep telling myself that winter doesn’t last forever. We do endure, and lists make it more fun and keep us going. Take comfort in yourself and all things around you that give you purpose! I love your lists, especially Alice’s contribution. I’m also glad I’m not the only one who puts lip balms through the wash! I, too, am a list maker. I’ve never understood the dog/litter box attraction, but I’m glad Alice contributed to the list. Time on your hands during the winter can easily lead to the blues, I’m glad you made your list to include both some outside time and some you time. Keep up the good spirits. Paw waves to Alice who seems to be keeping you on track HA HA. We’ve had 2 days of spring and now sliding back into fog, chill with rain and frigid close behind. Couldn’t believe it was 50 degrees today for the first of February! Last year I was shoveling daily with no place to put it anymore. I have some elbow-length beekeeping gloves that would work wonderfully for your bushwhacking Phil!